Below a selection of tutorials from the vast expanses of the Internet. Railsback, Steven F., and Volker Grimm. 2011. 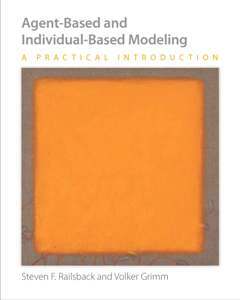 Agent-Based and Individual-Based Modeling: A Practical Introduction. Princeton University Press. – Probably the best introductory text for modelling complex systems available at the moment. Additionally, it provides a great tutorial in NetLogo. The OpenABM website has good tutorials in NetLogo and Repast. We strongly recommend Allen B. Downey’s book ‘Think Python’ which you can access for free here, and it’s continuation ‘Think Complexity’ (you can download it from here). For the best introduction to how to use Python for heavy computational modelling, check out this tutorial. R is a good choice for mathematical and statistical modelling (as long as it is not too computationally heavy). This is a very basic tutorial. Online courses which feature R can be found here and here. PowerSim is a very simple software for system dynamics (modelling differential equations), you can find its tutorial here. For all of you who are into Network Science, Tom Brughmans put together a list of tutorials including a really good one for Cytoscape. Aaron Clauset, CU Boulder/SFI has all of his lecture notes for his “Network Analysis and Modeling” course available here. For anyone interested in the fundamentals of modelling and why it is useful, Scott E. Page teaches an excellent introductory MOOC on Model Thinking at Coursera. I would recommend Vensim rather than Powersim for system dynamics modelling. While both are commercial products, the free Powersim version is just a model reader but the free Vensim version allows small models to be built. A more powerful Vensim version is also available free for academic users. Finally, last time I checked, the fully fledged commercial version of Vensim was substantially cheaper than the equivalent Powersim version.